For sale is this stunning Guild of Handicraft silver and blue enamel brooch, set with turquoise around the edges forming a stylized flower. Very similar designs by Ashbee can be seen in “Jewellery & Metalwork in the Arts and Crafts Tradition”, Elyse Zorn Karlin, 1993, page 119. 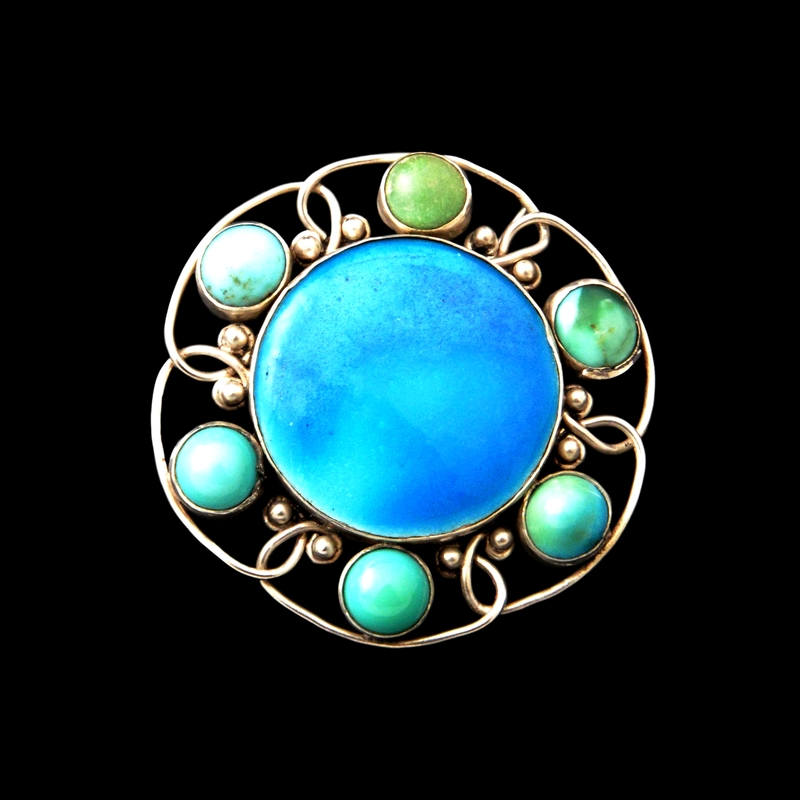 This exact brooch was exhibited in 2017 at Court Barn Museum’s “Cockney’s in Arcadia” exhibition. It comes in a Tadema Gallery box from where it was originally acquired. Condition is very good with slight discolouration to one turquoise.